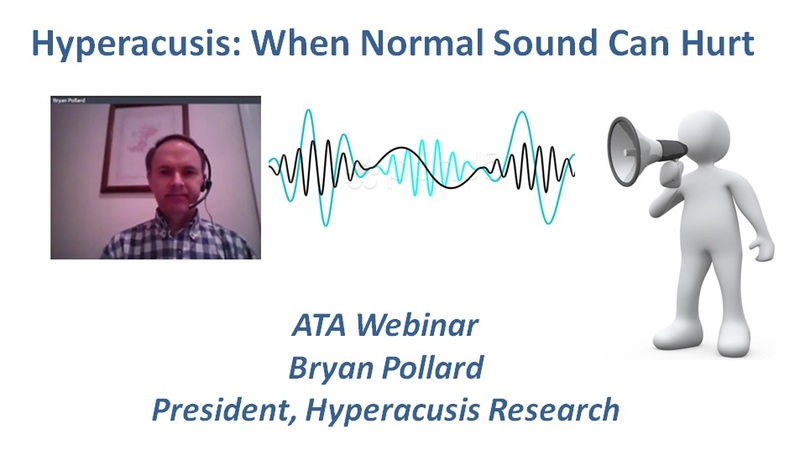 Hyperacusis Research was grateful to participate in the American Tinnitus Association webinar on hyperacusis. The full webinar is available to paid members of the ATA at the ATA members section of their website at ata.org. A key guest speaker was Bryan Pollard, founder and president of Hyperacusis Research. In the 2014 NHIS survey, he noted, 6% of the population answered yes to the question: “Do everyday sounds, such as from a hair dryer, vacuum cleaner, lawnmower, or siren, seem too loud or annoying to you?” About one third of those who answered yes considered their sound sensitivity to be a moderate to severe problem. Bryan also noted an important measure of any research effort is the number of publications on the topic on PubMed. Below is the graph showing that the number of publications on hyperacusis has doubled since the formation of Hyperacusis Research although the total number is still low. One of our three scientific advisors, Dr. Richard Salvi of the University at Buffalo, spoke about brain activity in the auditory pathway. Often, hyperacusis patients have an audiogram that is clinically normal but show substantial hearing loss in higher frequencies, which are not routinely tested. He made the apt comparison of noise with smoking. “Tinnitus and hyperacusis are far more serious matters than smoking, because people have a choice to smoke and most public places are now smoke-free.” Noise, however, is often unavoidable. In his hometown, it took years of effort, but Elkhart now levies stiff fines for noise violations and employs a dedicated police officer whose sole job is enforcement of noise regulations. Also participating from ATA were: Melanie West, CEO/Co-Executive Director, Jennifer Born, Program Director, and Jodi Asmus, Communications Assistant.